Mac OS X comes with a little-known function that lets you slow down the Dock’s window minimization animation just for the fun of it. Since Apple spends a lot of time creating quality animations with sleek and buttery-smooth transitions, it’s only fair that they should give users a way to enjoy them in slow motion. In this tutorial, we’ll show you how you can view your Dock’s window minimization animation in slow motion. One of the animations that the Mac is known for is the minimizing animation you see above when you minimize an application to your Dock. The two most common animations are ‘Genie’ and ‘Scale,’ and although Genie is the more popular animation, I’m personally a fan of the Scale animation. 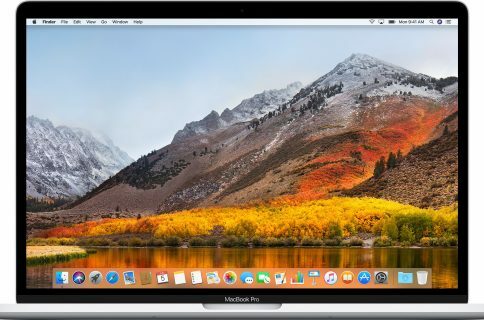 If you want to see the Dock’s minimizing animation in slow motion, you can simply press and hold the Shift key on your keyboard while you minimize your window, and it will cause the minimizing animation to slow down about to approximately 4x slower than the stock animation you’re used to seeing when you minimize a window on your Mac. It’s such a peculiar ability, and it only seems to work for minimizing and maximizing apps via the Dock, so why exactly is it there? As it turns out, the slow motion mode was built specifically by the Mac engineering team for the Macworld 2000 demo where the late ex-CEO of Apple, Steve Jobs, originally demonstrated the usefulness of the Dock and how beautiful the minimizing animations were back in the day. And to think the animation-slowing ability that was created just for this demonstration purpose is still present in modern-day OS X releases 16 years later in OS X 10.11 El Capitan. Pretty interesting! Although there’s noting functionally useful about the ability to see the window minimizing animation in slow motion, it’s still very cool to see the animation’s detailed effects move before your eyes in slower speeds than you’re used to. It’s also worth nothing that this trick works with both of the animations for minimizing windows with the yellow Minimize button, whether you’ve selected Genie or Scale. What are your thoughts on seeing your Mac’s minimization animation in slow motion 16 years after the original demo? Share in the comments!